For some people allergies are a major problem in the summer. 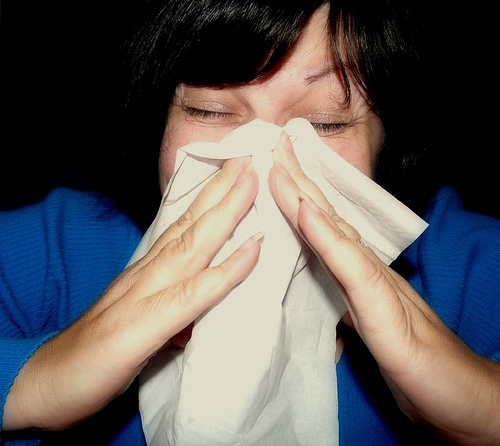 There are a few allergens that peak in the late summer months as the weather becomes hot and humid. Itchy eyes and throats, stuffy noses and coughs can all lead to sleepless nights. There are some precautions you can take against summer allergens that will help you feel better. The two top summer allergens are pollen and mold. In late summer, pollen from weeds becomes a problem, especially from plants like ragweed. Mold becomes a problem in humid and rainy weather. To avoid exposure to the offensive pollen, avoid using window box fans in your room because they can pull in pollen from outside. They also suggest showering or washing your hair before your go to sleep to get rid of any pollen that may have landed on you during the day. Exercise indoors on high pollen count days and when you exercise outdoors, do it in the morning when pollen counts are at their lowest. You can view your community’s pollen forecast at pollen.com. Wearing a mask can also cut back the amount of allergens you inhale. WebMD suggests wearing a mask when you mow the lawn or vacuum your carpets. Using a Neti Pot or sinus rinse to clean out pollen from your sinuses is very helpful. A Neti Pot is a tool that looks like a very small teapot that allows you to run a saline solution through your sinuses. They can be purchased at most pharmacies. Foods high in omega-3 fatty acids such as fish and eggs may help fight inflammation that is associated with allergic reactions. To avoid molds be sure to repair any leaks or water damaged areas in your home. You may also need to employ a dehumidifier if you live in a particularly moist or damp area. For small areas of mold, use a 5% bleach solution to scrub it away. By taking a few steps to avoid exposure to typical summer allergens you can be more comfortable throughout the day and sleep more soundly at night. If these precautions don’t help improve your allergy symptoms, you may want to consult a doctor. Sleepwalking can be disturbing to encounter, but it is typically a harmless sleep disorder. Sleepwalking is most common in children and is usually outgrown. Sleepwalking is also genetic, so if you are or were a sleepwalker, it is likely that your child will be too. According to Mayo Clinic, Sleepwalking occurs during the deep sleep cycle. A person who is sleepwalking will not be aware of their actions and will not remember them in the morning. Sleepwalking can be caused by excessive fatigue, new surroundings, anxiety and stress, or medications. Sleepwalking in children is rarely a sign of other problems and unless it seems to be causing excessive sleepiness during the day, or continues into teen years, it does not need to be treated. If it causes excessive sleepiness, it may be linked to other sleep disorders such as sleep apnea. Sleepwalking includes, but is not limited actual walking. Sitting up, repeated motions such as eye rubbing, and talking or screaming are also considered sleepwalking. It is rumored that it can be harmful to wake a sleepwalking person. This is not true. However, it is very difficult to wake a person in deep sleep, and a child especially will be easily frightened if woken while sleepwalking. This makes the easiest course of action simply directing the sleepwalker back to bed. There are no immediate risks to sleep walking. However, because the sleepwalker is unaware of their motions and surroundings, they can injure themselves during their nightly roams. You can help protect sleepwalkers by clearing bedroom floors so they are free from obstacles, locking doors and windows, locking doors to any rooms with harmful items, and placing baby gates over stairs. Helping your child get enough sleep can cut back on sleepwalking episodes. Set a regular sleeping schedule for your child, this includes naps, bedtimes and wake-up times. This will help your child have a routine and sleep better during the night. If you are concerned about your sleepwalking, or your child’s, feel free to consult a doctor. A doctor will help you determine any possible underlying problems and solutions, or give you piece of mind if the sleepwalking is a normal occurrence. The good news is a few nights spent sleepwalking normally will not interfere with a restful night of sleep and leave you or your child sleepy during the day. 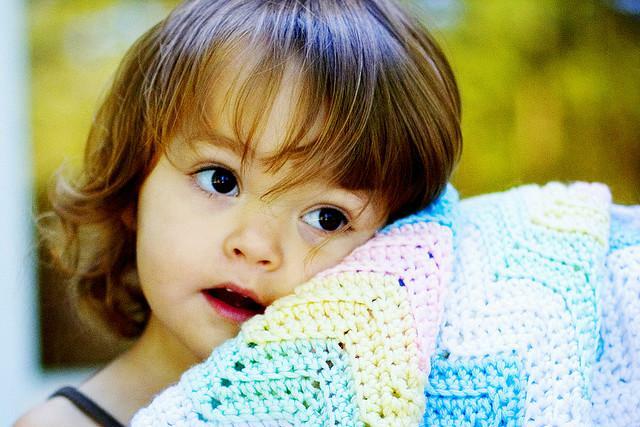 June 19, 2015 | Posted by Kay T.
Comfort objects such as blankets or stuffed animals are very common among babies and toddlers. Many parents wonder if it is ok to encourage the use of these comfort objects. Professionals that work with children ensure parents that there are many advantages to using comfort objects, also called transitional objects, and very few negative impacts. According tohealthychildren.org babies tend to form an attachment to an object between 8 and 12 months. This is when they become aware that they are a separate person from their parents. A transitional object helps them cope when babies begin to realize their parents are not always immediately present. As you see your child begin to favor a toy or blanket you may want to encourage this attachment. Keep the blanket near you when you are feeding or rocking your baby. Before a baby is 12 months old it is recommended to remove the object from a baby’s crib while they are sleeping to prevent any risk of suffocation. Steering your child’s attachment to a specific item may make things easier for you too. You can help them become attached to a small blanket or small plush toy, rather than something large or difficult to transport and clean. Introducing an exact double right away can help in situations when the object is being cleaned or is lost. Sometimes children will reject the object if it feels too new or different from their old one even if it looks exactly the same. What to Expectsuggests that setting parameters right away will also make things easier for parents. You may want to only allow the object at night and nap times or when parents are away. You may also want to consider only bringing the object out of the home when the child will be in a stressful situation such as going to the doctor or traveling away from home. It can be stressful for parents if the object must go everywhere! While some parents may view a transitional object as a sign of weaknessDr. Sears reminds parents that transitional objects actually help children become more independent. They also promote emotional health by encouraging your child to develop deep bonds which will be desirable throughout their life. A child may start to mature out of their objects between the ages of 2 and 5, but there is no need to rush the process. They will give it up when the time is right for them or the object simply disintegrates from wear. Ultimately a comfort object will help your child go to sleep easier, feel more confident, and make important emotional connections. What comfort objects are your kids attached to? 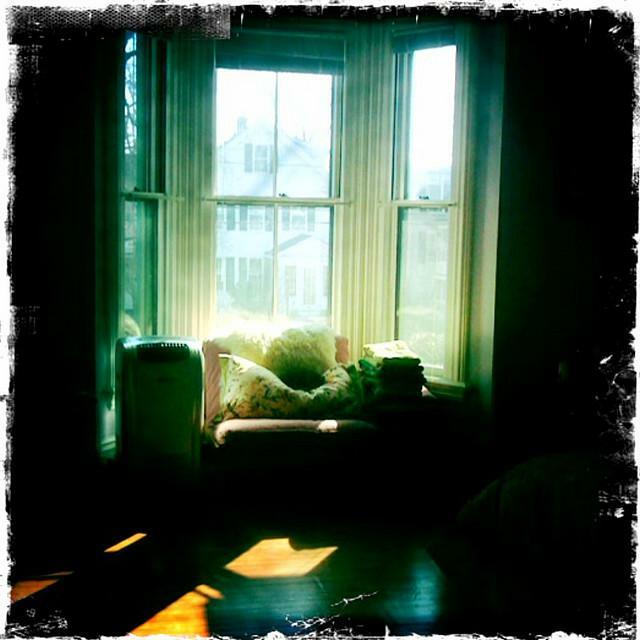 June 12, 2015 | Posted by Lee C.
It is time for spring cleaning! This is the time of year when everyone starts to dream about getting organized and deep cleaning neglected areas of the house. The sooner you get started, the sooner you will finish and have time to be outside in warmer weather. The bedroom is a great place to start for spring cleaning. It often gets neglected while other more visible areas of the house are more routinely cleaned. You may find a few trouble spots as you freshen your room. Here are a five tricks to help you out. Young children in the house almost always means crayon will end up somewhere other than paper. When you find crayon on your wall or just about any other surface, Real Simple recommends spraying a little WD-40 over it and then rubbing it with a cloth. This tip also comes from Real Simple. Wood floors in your bedroom easily collect small scratches. These scratches can be hidden by rubbing shelled walnuts into them. This tip doesn’t necessarily apply to your bedroom, but if you have a bathroom attached to your bedroom, it is too good to leave out. An article from Broccoli Cupcake suggests that all you need to do is cut a lemon in half and rub it on the hard water stains. Then rinse and your fixtures will look as good as new. When you discover old stains on your carpet try this trick for pulling them out. Picklee recommends mixing equal parts ammonia and hot water. Pour the mixture over the stain. Cover the area with a clean white towel. Then iron the towel. The stain will lift from the carpet into the towel. Once your carpet is nice and clean you may want to freshen it a bit to remove old odors. This is especially helpful if you have pets. One Good Thing shares this homemade powder for freshening your carpets: Combine 1/2 cup each of baking soda and borax then add 20 drops of essential oils such as lavender or a teaspoon of spices like cinnamon. One Good Thing warns to use oil instead of spice if you have light colored carpet. Shake this mix evenly over the carpet. Let it sit for 20 minutes and then vacuum. These five tips can help you tackle your spring cleaning. Have fun rejuvenating your home starting with the bedroom. 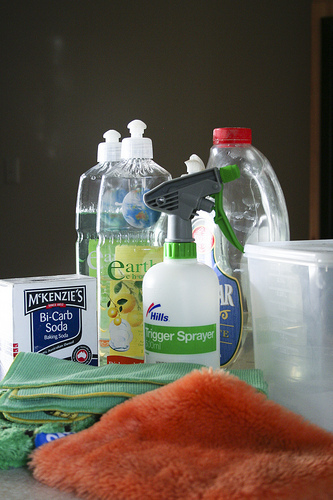 Do you have any household cleaning tips to share? If you are suffering from excessive drowsiness during the day, but you went to bed early and woke up late, there may be a hidden cause. Sleep apnea momentarily stops breathing, arousing a sleeper briefly many times throughout the night. While these moments of awakening may go unnoticed during the night, the resulting sleepy feeling during the day may indicate a problem. According The American Sleep Apnea Association (ASAA), sleep apnea effects more 18 million Americans and many of the sufferers remain undiagnosed. There are two types of sleep apnea, obstructive sleep apnea and central sleep apnea. Obstructive sleep apnea, the more common type, occurs when the soft palate in the throat prohibits air from passing normally. Central sleep apnea is caused by the brain failing to signal the body to breathe. Central sleep apnea is rare, but serious. Obstructive sleep apnea occurs for a number reasons. Muscles in the throat that are relaxed from alcohol use, sleep inducing drugs, and smoking can cause the airway to become obstructed. People over 40, men, and those who are overweight are also more likely to suffer from sleep apnea. Mayo Clinic discuses some indications that you may have experienced sleep apnea during the night including; constantly feeling tired, loud snoring, waking with the feeling of a very dry mouth, a morning headache, insomnia, and the physical experience of interrupted breathing during the night. If you feel like any of these indications are regularly effecting your daily life you should seek help from a doctor. Sleep apnea can also have the serious side effect of increased blood pressure. People who suffer from sleep apnea may be more at risk for cardiovascular disease and stroke. Treatments for sleep apnea depend on the determined cause. Some sufferers may be able to make a lifestyle change such as quitting smoking, losing weight, or refraining from alcohol several hours before sleep. According to WebMD mild sufferers of sleep apnea may be fitted with a mouthpiece to be worn at night that holds the jaw so that the airway cannot be blocked. Mayo Clinic suggests the most common and usually most effective treatment is the Continuous Positive Airway Pressure or CPAP machine. 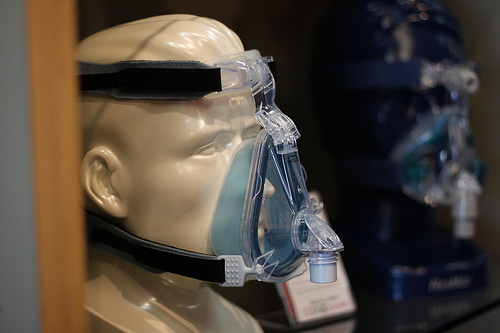 This machine keeps the airway open by placing a mask over the nose that puts a small amount of pressure on the airway, preventing it from becoming blocked. Sleep apnea may be interfering with your healthy night of sleep. If you suspect a problem, get help. There are many ways a professional can help you sleep well and feel better! May 21, 2015 | Posted by Lee C.
Spring is the perfect time to either grow leafy greens or find them fresh in supermarkets and farmers markets. It is important for your health to take advantage of these delicious vegetables. Eating the proper amounts of vegetables have a variety of benefits for your health, but the often overlooked green, leafy vegetables have particular advantages. Eating the right amount of fruits and vegetables can reduce your risk for diabetes, as well as cardiovascular disease. It can lower blood pressure and possibly even prevent cancer. According to a study done by the Harvard School of Public Health, people who are 5 servings of fruits and vegetables every day had a 20 percent lower risk of coronary heart disease and stroke. The Colorado State University Extension discusses that leafy greens are particularly special because they contain phytonutrients along with Vitamin A, Vitamin C, beta-carotene, calcium, folate, and fiber. Phytonutrients act as antioxidants which prevent both cancer and heart disease. Iceberg lettuce is one of the most common greens eaten in the United States. While it is a healthy way to curb an appetite, it does not contain the high levels of nutritious vitamins that darker green, leafy vegetables have. Spinach, mesclun, and romaine lettuce, are good alternatives to iceberg lettuce for salads. Other leafy greens are a good source of nutrition and can be sautéed and served as a side dish. Swiss chard is a beautiful leafy green with bright red ribs and veins that is high in nutrients. Beet greens, turnip greens, and collard greens are other greens that are delicious cooked. Most greens grow in cool weather and are readily available in the fall and spring. In mild climates they can be grown all winter long. When other fresh vegetables are hard to come by, greens are in their prime. A healthy lifestyle that includes a diet high in fruits and vegetables, particularly greens, can lead to overall improved health. Feeling better can help you sleep better and conversely sleeping better can help you feel better. This cycle makes it important to eat well and rest well! 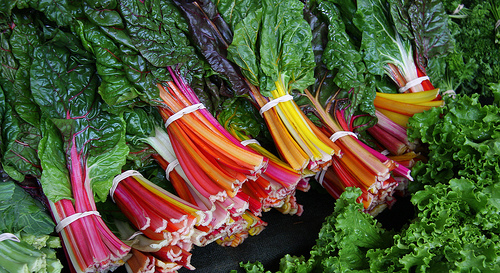 Photo “Swiss Chard Rainbow” courtesy of eflon. May 18, 2015 | Posted by Kay T.
Are you looking for the perfect hot weather sheets to keep you comfortable during summer nights? There are three reasons you should consider using bamboo sheets instead of traditional cotton blends. Bamboo is also a sustainable material. Bamboo fibers have natural properties that wick moisture away from your body. Bamboo sheets will help you feel dry when you sweat during the night. Wicking also reduces the humidity around your body. Water in the air conducts hot or cold quickly so that it is difficult to regulate your body temperature. By reducing the moisture in the air around your body you can stay cooler on a warm night. Moisture wicking also eliminates the discomfort of feeling damp. 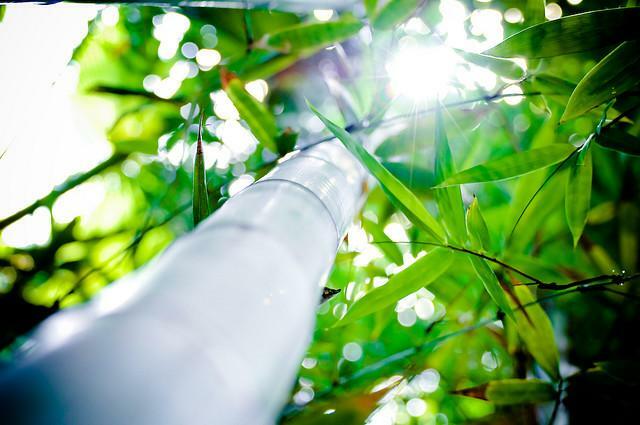 Bamboo fibers have natural bacteria fighting properties. Bacteria and germs just can’t hang around in these sheets.According to eHow, in 2003 the China Industrial Testing Center did a study that placed bacteria on bamboo sheets. In 24 hours the sheets were 99% bacteria free. This special quality means you don’t have to wash bamboo sheets as often as cotton sheets and you don’t have to use really hot water to get rid of any bacteria. This reduces the amount of wear and tear on the sheets so you can keep them longer. Bamboo sheets are great insulators. Hot or cold temperatures outside of the bed will move slowly between the fibers towards your body. With materials that are good insulators your body temperature is preserved so you can stay warm on a cold night and cool on a hot night. In addition to these three very practical reasons for using bamboo in the summer, bamboo fabric is also very soft and smooth. Everyone wants soft and comfortable sheets for a good night’s rest no matter what the temperature. Finding the right sheets so that you can sleep well can make a big difference in your overall health and well being. Sleeping well will reduce stress and improve productivity. Don’t let a hot summer leave you feeling worn out and stressed. Use bamboo sheets to feel comfortable even when temperatures soar. How do you keep your bedroom cool in the summer? Should you be counting sheep? May 16, 2015 | Posted by Lee C.
Can occupying your mind with sheep help you fall asleep? 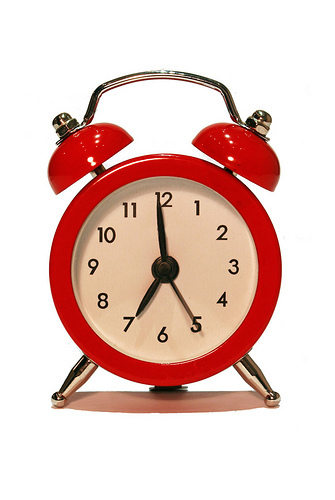 Have you ever laid in bed watching the minutes tick by, knowing the alarm is set for early in the morning and you just can’t drift off? Counting sheep is a timeless suggestion to help you fall asleep, but where does it come from and does it really help? Sheep counting may go back to very early shepherds. These shepherds would have needed to literally count their sheep to make sure they were all safe before they could go to sleep. Sleep specialist Michael Decker PhD, says that counting actually activates parts of the brain that processes information. Putting this part of the brain to work may stimulate you rather than help you fall asleep. Other studies suggest you should try a different method. A study performed by Oxford researchers that found people who were told to visualize a relaxing scene such as a beach, waterfall or walk in the woods fell asleep on average twenty minutes faster than those who were given no instruction. The idea is that you can occupy your mind with something relaxing so that you are not thinking about tasks, relationships or other worries that might cause stress instead of help you fall asleep. These relaxing scenes are enough to keep you busy without stimulating your brain. If you can’t fall asleep after thirty minutes, you should get up. Move to a different room and read or listen to relaxing music until you feel sleepy. Then return to bed and try again. Try not to read or do other activities in bed. Doing so can help train your body to stay awake in bed. While the research shows counting sheep may not be the best option for drifting off to sleep, it certainly doesn’t hurt to try. Picturing relaxing scenes or counting sheep will not have any of the side effects of sleeping pills or other medications. If your insomnia is not severe or it is related to a short terms stress, feel free to try any at home tricks to help you drift off. However, if your sleeplessness is interfering with your day to day activities, counting sheep certainly won’t help. See a doctor so that you can get some rest and feel healthy again. December 14, 2014 | Posted by Lee C.
Brighten up your dark room. During winter cloudy days and long nights can make your home seem extra dark. As the longest nights of the year are upon us, lift your spirits a bit by using these tips to brighten your bedroom. The winter is a great time to paint because all of your outside projects are on hold. It has been very trendy to paint entire rooms or accent walls in dark colors. While it looks very attractive, it may be making your space too dark and dreary. Consider painting your bedroom white. If you prefer to have color, choose a shade that is soft and bright. A fresh coat of paint can go a long way in changing the look and feel of your private space. It’s important to note that when painting during the winter months, be sure to ventilate the room by opening a window or door. The paint fumes are not only harmful to humans, but small pets as well. The lighting levels within a room have a huge effect on your mood. Choose a fun new chandelier or add sconce lighting beside your bed. Find something that will match your style and brighten your space. More bulbs in your room mean a sunnier feel. Be careful when buying your bulbs. Bulbs that are labeled outdoor light are a cold, bluish color. Choose a warm bulb for your bedroom for a homier feel. Add fresh,crisp white sheets to your bed. Having bright white sheets can help you feel clean and warm. Pair the sheets with adown comforter andbright duvet to keep you extra cozy on cold nights. Fresh flowers can add a springtime look and scent to your bedroom even in the middle of winter. Place a small bud vase on your nightstand or place a larger arrangement on your dresser or even on your bathroom. Living houseplants are a more long lasting way to bring the outdoors inside and brighten up your space. You may not want to invest the time or money into replacing your carpet. Adding a rug is a fast and easy alternative. Find a rug with a bright color or lively pattern to transform your room and refresh your floor. TLC suggests adding mirrored surfaces or cut glass to reflect light around the room. A decorative mirror will help your space appear larger and brighter. These are just a few things you can do to brighten up a dreary feeling room. You can go as far as remodeling with new paint and decor, or simply add a few flowers or plants. Even small touches can help dark days seem a little lighter. How do you brighten your home in the winter?